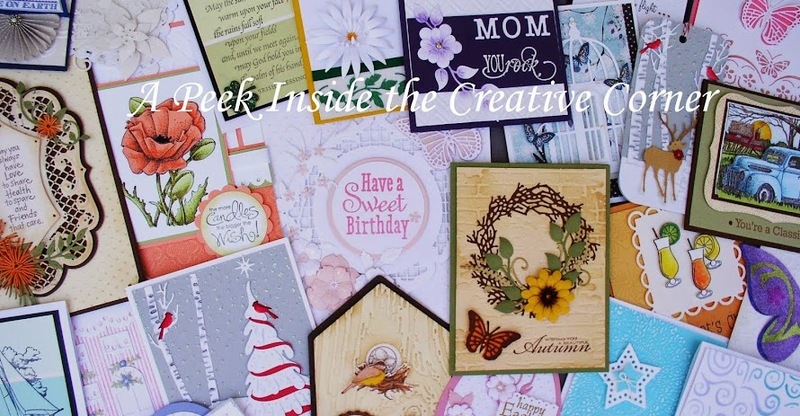 A Peek Inside The Creative Corner: Happy December! Here's a simple but very pretty Christmas tag for your gifts. You only need the Christmas tree die from Joy. And the star also comes in the set. Thanks for your love of card making and keep doing what you are doing.I will see you soon! I just have the best ladies coming to visit me at the shop! We get so many ideas from each other, it's just amazing.